1) You can get up to $200 ($20 a month for 10 months, deposited to your transaction account) when you open a chequing account. 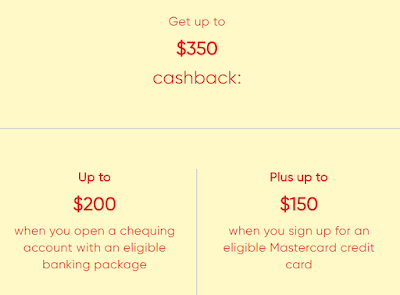 2) Get an additional cashback of up to $150. How? 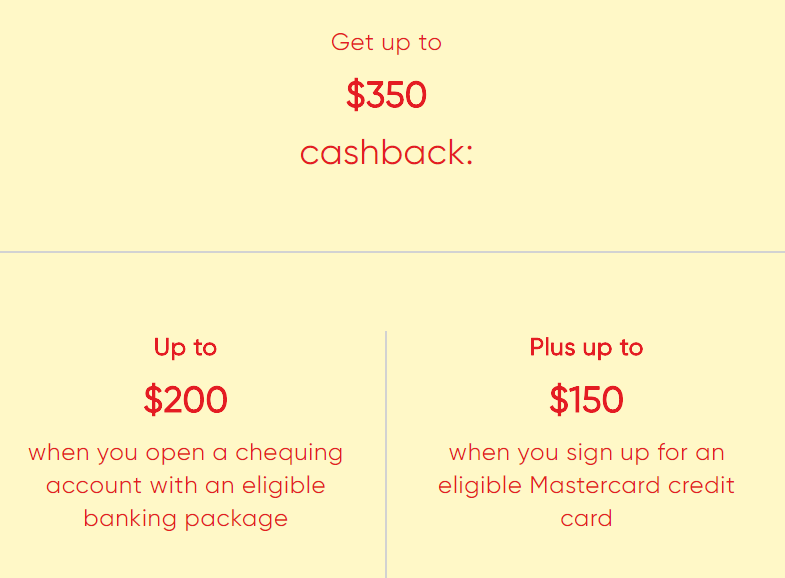 Choose a World Elite, Mastercard World, Platinum or Syncro card and The Total or The Connected package and get a cashback after you pay your annual fees.